A Sharpie passes through a small hole in a card! 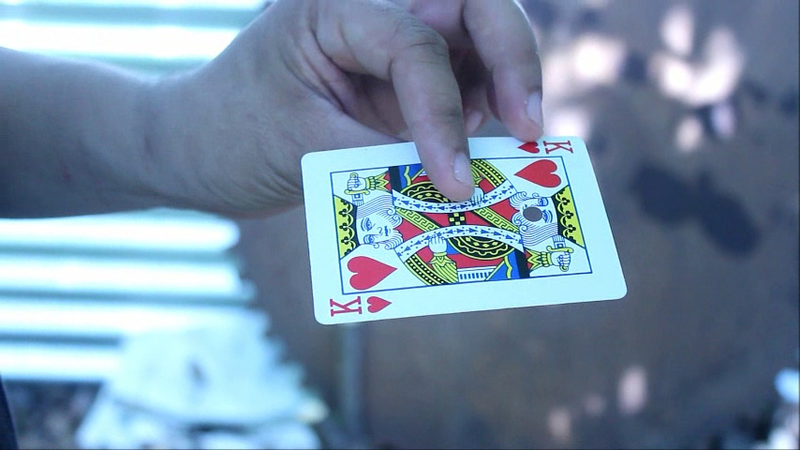 The magician shows a card that has a small hole punched in it. He explains that the Sharpie can't pass through because the hole is too small. But because you are a magician, the Sharpie nevertheless penetrates that small hole - by magic! Download the video and learn this great visual spectacle!